You may think this is some sort of offensive piece directed at New York. Not at all. It’s a piece of music by Fescal with a video to along side it. I’m feeling a bit topsy turvy today in the way of thinking, so this suited my mind frame perfectly. 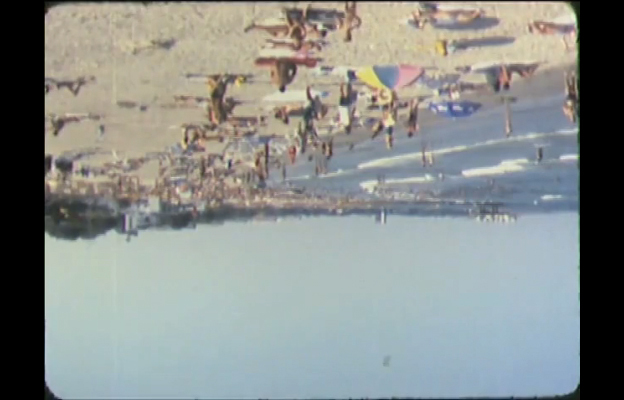 It’s pretty simple, the short is basically the filming of a New York beach sped up to the beat of the music. Then flipped around a few times for good measure. I could imagine this video being played in the Tate Modern or some sort of art gallery, very ‘out there’. Time does not exist. Everything you think you know about time is wrong because there are No days, No years, No seconds. Clocks are not measuring anything because there is nothing to measure. All your equations that use time have to be redone. Everything you think of as time is only Space Transitions of Energy and Matter.